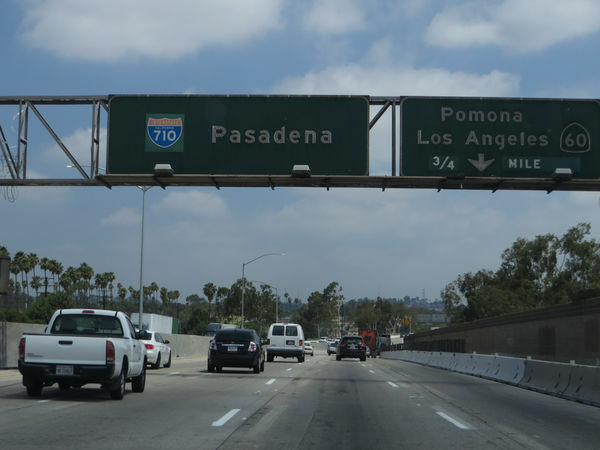 The LA City Council voted to support a bill prohibiting the constructions of a 710 Freeway tunnel to Pasadena. LOS ANGELES, CA — The Los Angeles City Council threw its support Wednesday behind legislation that would prohibit the construction of a tunnel to extend the Long Beach (710) Freeway and establish a link between Alhambra and Pasadena. The bill would create the I-710 Gap Corridor Transit Zone Advisory Committee, which would review a wide range of mass transit options for the 6.2- mile gap between Alhambra and Pasadena, which currently are linked only by surface streets, and recommend solutions that do not include a tunnel or a surface freeway. The panel would include representatives from the cities of Alhambra, Los Angeles, Pasadena and South Pasadena, along with Caltrans, the Metropolitan Transportation Authority and select members of the California Legislature. Councilman Gil Cedillo, who represents communities in northeast L.A. near the 710 gap, was the lone dissenter to the resolution supporting the bill by Assemblyman Chris Holden, D-Pasadena. Cedillo expressed support for a tunnel. "We should move away from the kind of hysteria that gets engendered by this discussion and move into a dispassionate discussion about the benefits of a tunnel and how it accomplishes the goals of all of those communities impacted," Cedillo said. Councilman Jose Huizar, who also represents communities in northeast L.A. near the 710 gap, voiced support for the resolution and said Mayor Eric Garcetti and county Supervisor Hilda Solis are opposed to the tunnel. "All of us agree that it's time to get away from this boondoggle of a project that's going to cost billions of dollars but not ease much traffic ... that those dollars instead be used for a more efficient way, a more 21st century way, in planning for transportation," Huizar said. The possibility of a 710 Freeway extension has been on the table for decades, but has been thwarted by generations of opposition from some of the communities in its path, including South Pasadena. Caltrans began in the 1950s and 1960s buying empty lots, houses and apartments along the planned route of the 710 Freeway extension between Pasadena and Alhambra. Last year, Caltrans began the process of selling off the houses and apartments as part of its shift toward a tunnel or other options.